If you’re a fan of Dirty Dancing, you may not have the time of your life watching the stage show, but it’ll probably do until the next time you catch the 1987 flick. Adapted by original screenwriter Eleanor Bergstein, the theatrical version tries to recapture the magic of the Jennifer Grey-Patrick Swayze romance but starts out with several strikes against it. The first strike, of course, is that it features neither Jennifer Grey nor the late Patrick Swayze. 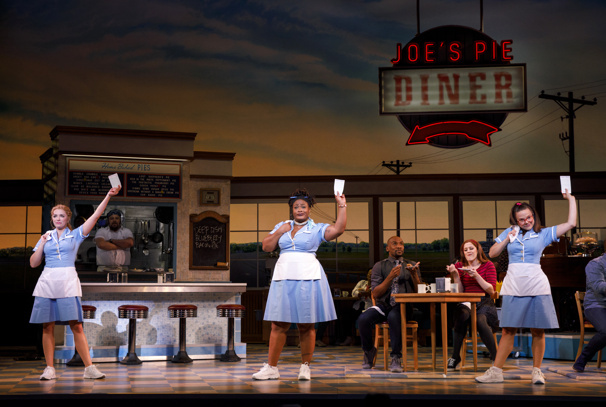 In their place, the current touring show has Rachel Boone as Frances “Baby” Houseman, who’s vacationing with her family at a Catskills resort in 1963; and Christopher Tierney as Johnny Castle, the working-class dance instructor who attracts her attention. Boone earns our sympathy and sometimes our laughs as the high-minded Baby, but Tierney’s Johnny is rather stiff except when he’s strutting his stuff on the dance floor. The two generate so little chemistry that when Baby finally announces her feelings for Johnny, it comes as a surprise even though we know that’s what the whole show is about. It’s not entirely the actors’ fault. The second strike against the show is its episodic structure, especially in the hectic first act. Scenes fly by so fast that there’s no time for any emotional depth to develop. 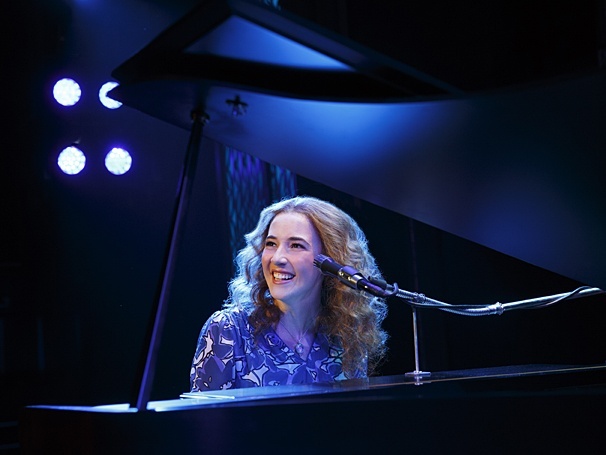 Strike three is the quirky nature of the show, which can’t be called a real musical because it denies its stars the chance to express themselves in song. 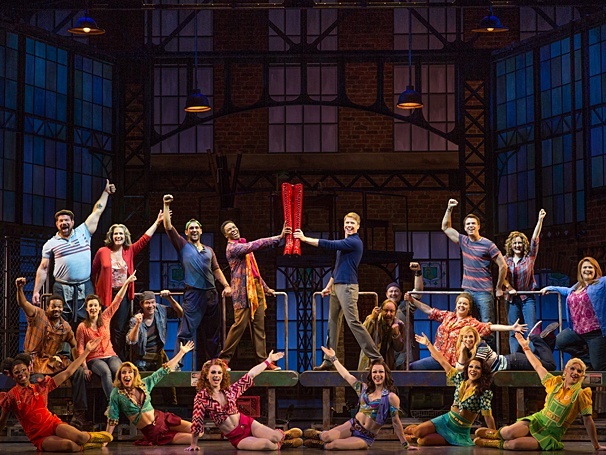 Most of the vocal numbers are delivered by minor characters such as Elizabeth (Adrienne Walker) and Billy Kostecki (Doug Carpenter). Both sing beautifully, but in the process they effectively put both Johnny and Baby in the corner. All of this would have been enough to strike out the average show, but it hasn’t seemed to hurt Dirty Dancing, which has become a worldwide hit. The only explanation is that the show effectively, if imperfectly, rekindles viewers’ affection for the film. The vintage pop tunes are back, along with several more that couldn’t be obtained for the film. They include Do You Love Me?, If You Were the Only Girl and the beloved finale, (I’ve Had) The Time of My Life. All are accompanied by a boisterous and brassy onstage (but usually hidden) band led by Alan J. Plado. Also back are the early 1960s idealism and conflicts, including references to the Peace Corps and the civil rights struggle. It’s in this unstable atmosphere that Baby steps forward to help Penny (Jenny Winton), a friend of Johnny who has been impregnated by her well-to-do boyfriend. That sets up a misunderstanding that drives a wedge between Baby and her previously doting father (Mark Elliot Wilson). Best of all, the dancing is back, courtesy of Michelle Lynch’s high-kicking and high-lifting choreography. James Powell’s direction makes the most of the flashier moments, particularly when special effects are used to “show” Baby and Johnny practicing their dance moves in the middle of a forest, a field and even a lake. Stephen Brimson Lewis’s set designs and Jon Driscoll’s video and projection designs are the real stars here. The supporting cast is all strong, with some of the funniest moments provided by Alex Scolari as Baby’s bratty and vocally challenged sister, Lisa. The stage version of Dirty Dancing is hardly a classic, but it does have the advantage of reviving viewers’ memories of a classic. For many, that will be enough. 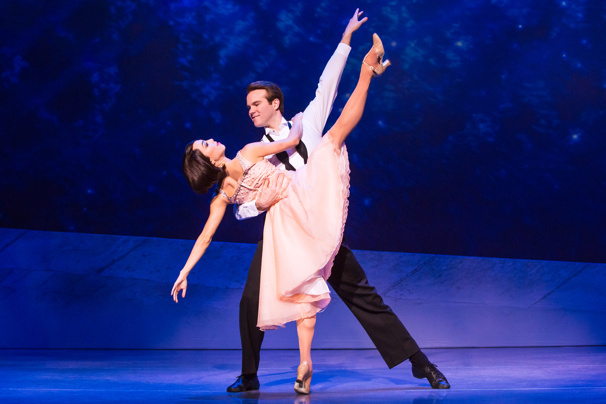 Broadway in Columbus and CAPA will present Dirty Dancing through May 22 at the Ohio Theatre, 39 E. State St., Columbus. 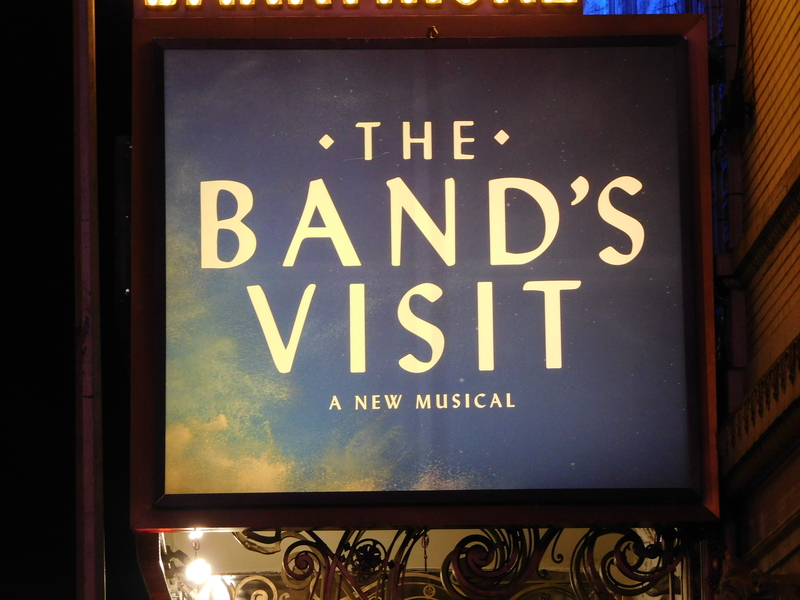 Show times are 7:30 p.m. through Thursday, 8 p.m. Friday, 2 and 8 p.m. Saturday, and 1 and 6:30 p.m. Sunday. Running time: 2 hours, 25 minutes (including intermission). Tickets are $58-$153. 614-469-0939, 1-800-745-3000, broadway.columbus.com, capa.com or ticketmaster.com. The curtain rises to reveal facsimiles of old Motown groups singing snippets of their hits. 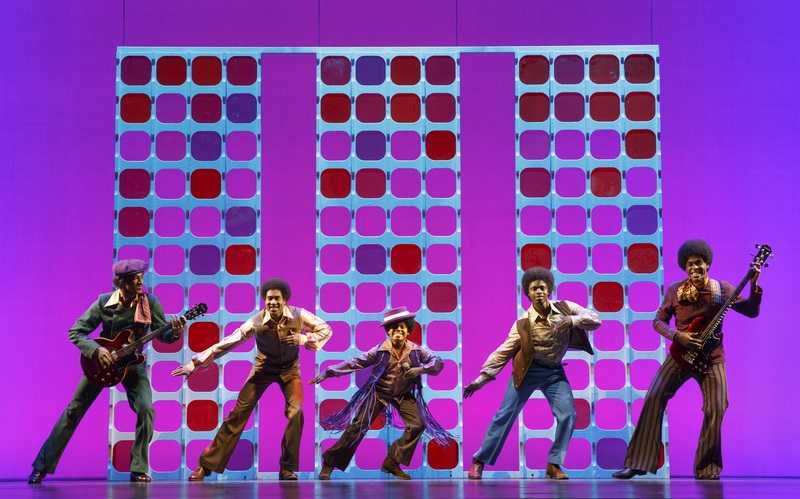 From the beginning, it’s clear that Motown the Musical is all about the music. It’s only after we’ve been treated to several smartly choreographed numbers that the show introduces to the man around whom it revolves: Berry Gordy Jr. (Chester Gregory), who founded Motown and now is threatening to boycott a 1983 celebration of the record label’s 25th anniversary. Why? Because he holds a grudge against the many artists who abandoned it over the years. Based on Gordy’s 1994 autobiography, the musical then backs up and begins recounting his long career. First seen as a young boy growing up in Detroit, Gordy quickly develops into a brash young man who pushes his way into the music business by writing hits for singer Jackie Wilson (Rashad Naylor). But he soon becomes fed up with seeing his songs relegated to the B-sides of lesser efforts, so Gordy founds his own label. This, however, introduces a whole new problem. Mainstream radio stations refuse to play black music—then known as “race music”—despite Gordy’s assurances that his soul/pop tunes appeal to everyone. His claim is borne out by a Southern concert that attracts a multiracial audience, which police officers struggle to keep segregated into “white” and “colored” sections of the auditorium. Of the two acts, Act 1 is more interesting due to scenes like this that reflect the tenor of the times. It ends in the 1960s, a decade marked by hopeful activism and soul-rending violence: the Vietnam War, the assassination of a president and a King, and Detroit’s 1967 riot. On a more personal level, it also covers Gordy’s blossoming relationship with Diana Ross (Allison Semmes), lead singer of the Supremes. Act 2 covers Motown’s move to Los Angeles and Gordy’s determination to turn Ross into a solo artist and a movie star. Inevitably, though, it becomes the story of Gordy and Motown’s gradual decline, which makes it much like every other musical biography. Along the way, we get a few tidbits of information about Gordy’s relationships with Motown’s various stars. While these are sometimes interesting, the details are sketchy and sometimes are left out entirely—as when Gordy and an aggrieved musical group take each other to court. In such cases, it’s hard to forget that we’re hearing only Gordy’s side of the story. But whatever the show lacks in narrative depth, it makes up for by allowing us to bask in one Motown hit after another. ABC, Ain’t No Mountain High Enough, Dancing in the Street: The nostalgic moments just keep on coming. In the touring show, directed by Charles Randolph-Wright and accompanied by Darryl Archibald’s funky band, the songs are delivered with power and grace. Semmes is great as Ross, seeming to gather strength as the night goes on. Though Gordy is known for promoting music rather than singing it, actor Gregory also comports himself well when he raises his voice in song. Semmes and Gregory’s duet You’re All I Need to Get By is one of the show’s sweetest numbers. Also prominent are Jesse Nager as Smokey Robinson and the fleet-footed J.J. Batteast (alternating with Leon Outlaw Jr.) as a young Michael Jackson. On opening night, Nik Walker filled in for Jarran Muse as Marvin Gaye and displayed one of the most impressive voices of all. 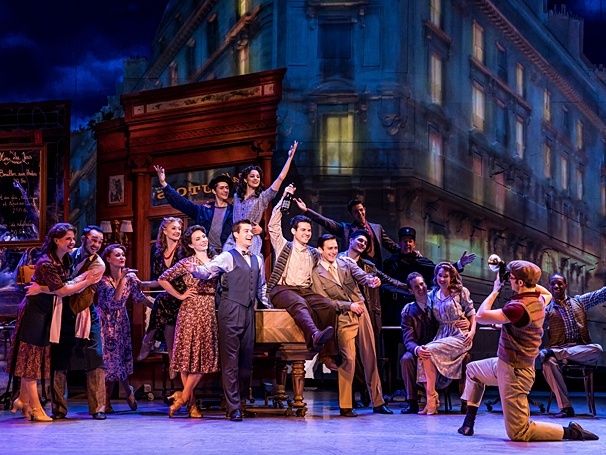 David Korins’s scenery is spare, relying on Natasha Katz’s lighting to set the scene and mood. Esosa’s costume designs are period-appropriate and properly flashy. 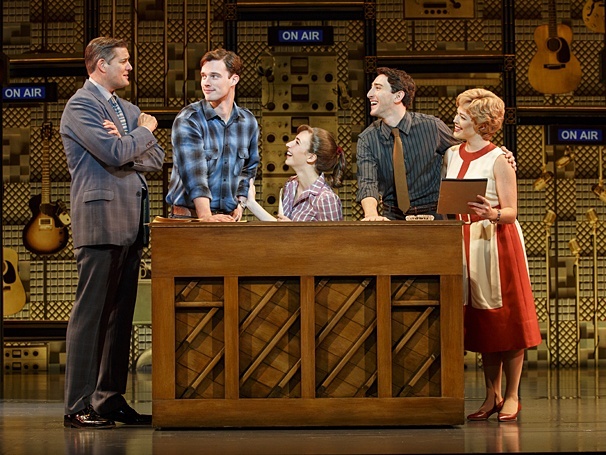 Motown may not be a great musical, but it’s a musical with great music. Whether or not you’re old enough to remember the titular record label’s heyday, you’re sure to have fun. 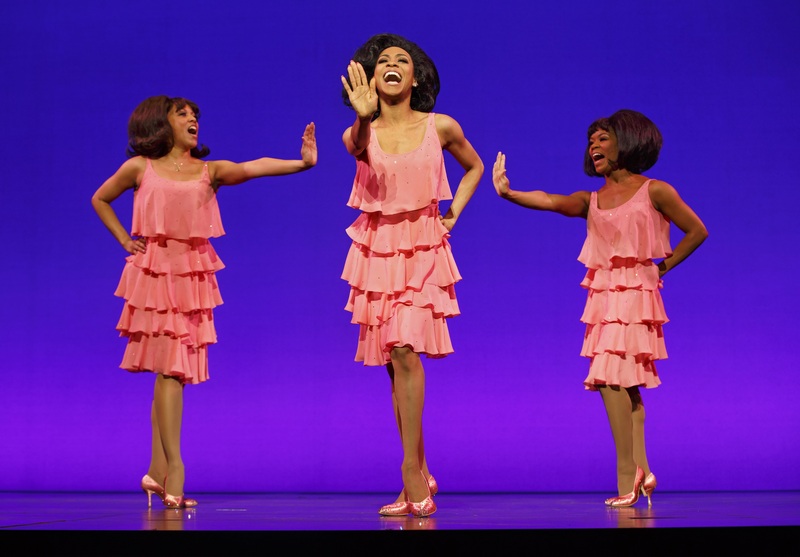 Broadway in Columbus and CAPA will present Motown the Musical through Feb. 28 at the Ohio Theatre, 39 E. State St., Columbus. Show times are 7:30 p.m. through Thursday, 8 p.m. Friday, 2 and 8 p.m. Saturday, and 1 and 6:30 p.m. Sunday. Running time: 2 hours, 45 minutes (including intermission). Tickets are $33-$113. 614-469-0939, 1-800-745-3000 or ticketmaster.com.